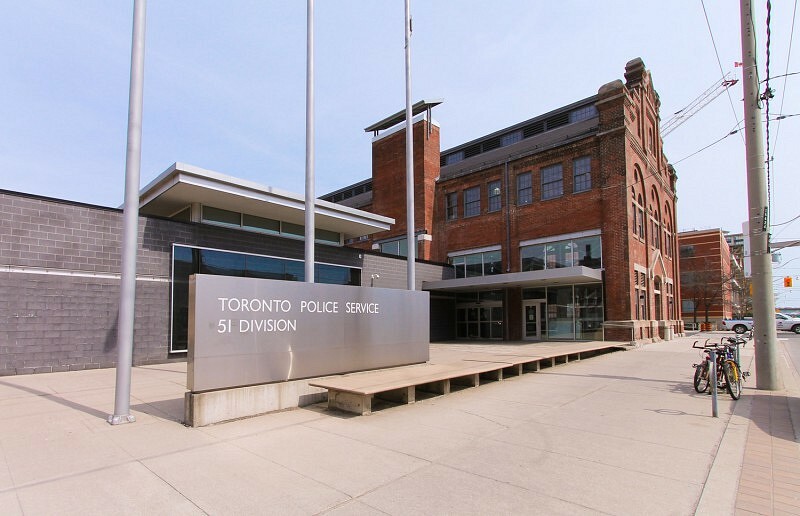 Consumers Gas Station A, designed by Bond & Smith and completed in 1898, has been integrated into a new design by Stantec Architecture for Toronto Police Services 51 Division headquarters. 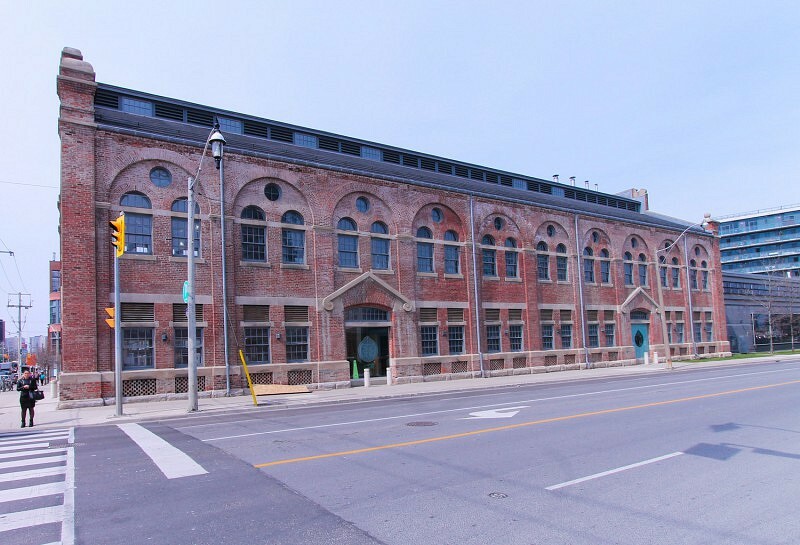 The heritage building is a tall, arcaded shed, gable ended, with a long extruded roof form, refined Classical composition, decorative masonry, and numerous windows. The new addition and the old building intersect and work together in a “long life, low energy, loose fit” approach to both heritage and sustainability. While the new building meets current energy efficiency standards, the heritage fabric is only partially heated and cooled. 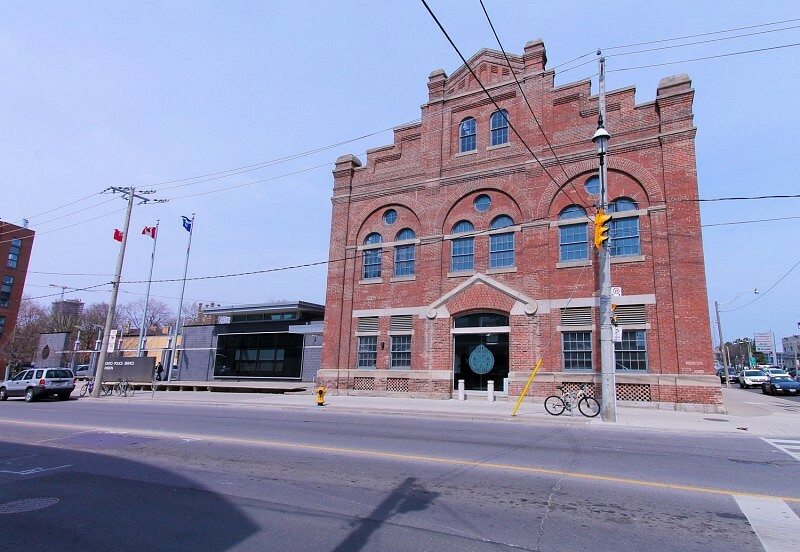 This strategy conserves energy and protects the historic masonry, which is left exposed, retaining the site’s historic industrial appearance. 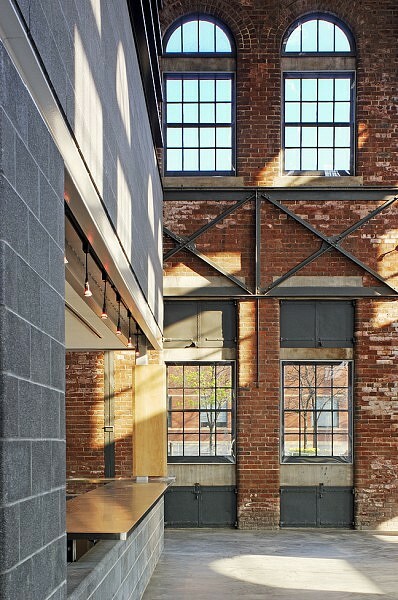 Heritage work involved the restoration of the roof, exterior brick, and stonework, as well as the detailing of connections between old and new building fabric. 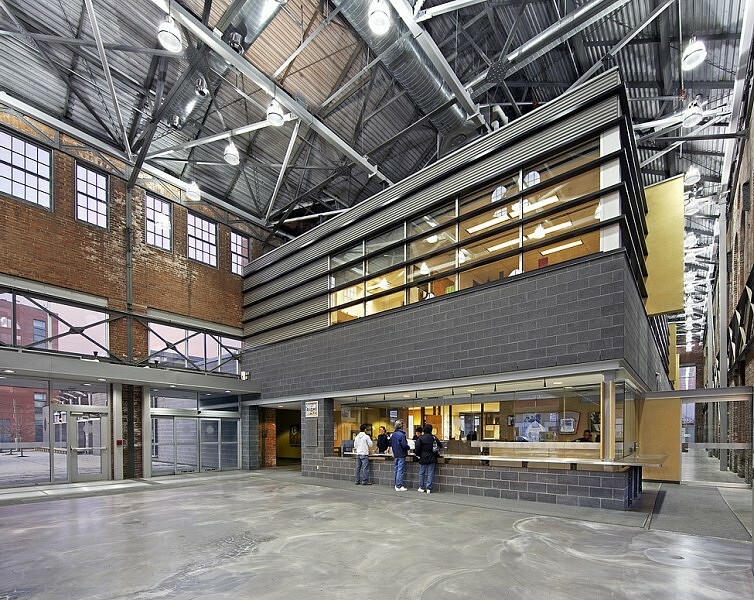 Stantec Architectecture Ltd., formerly Dunlop Architects Inc.